Environmental group that works for nature protection and promotes its knowledge and respect in the society. 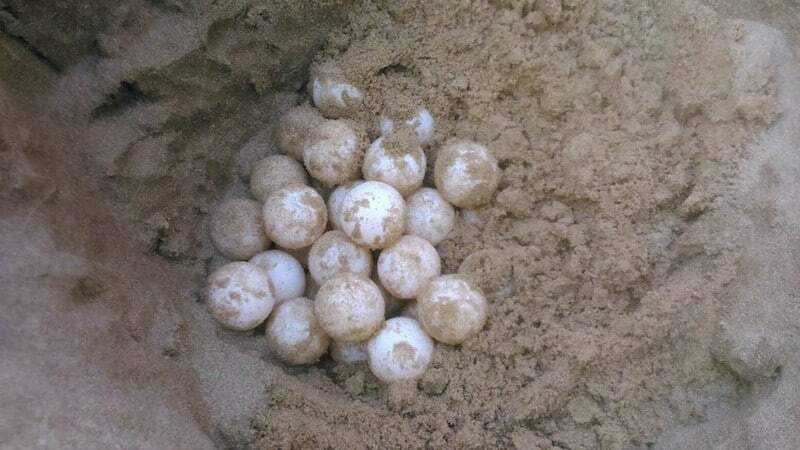 Campaigns against the extractive activities of the Camp de Tarragona, the proliferation of wind farm projects in Baix Camp, the introduction of exotic species, the discharges into rivers, and the emission of harmful gases and pollution. Projects in progress: Bonelli’s Eagle support plan, pollinators promotion, experimental nursery of native plants and monitoring of threatened species and environmental education programs. 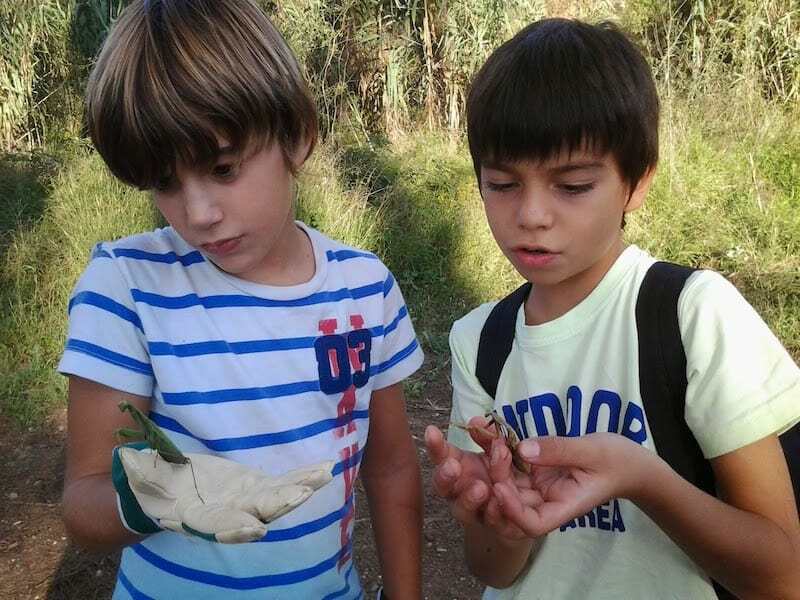 Naturalist schools in Roquetes, Cambrils, and Altafulla. Volunteers work: awareness of the population on environmental issues, dissemination of activities related with nature, monitoring of the biodiversity, preparation of educational materials, support in environmental protest campaigns and actions on lands in stewardship. 10% of the sale price of this neckwarmer is donated to GEPEC. For further information about GEPEC, visit this page of the NGO. 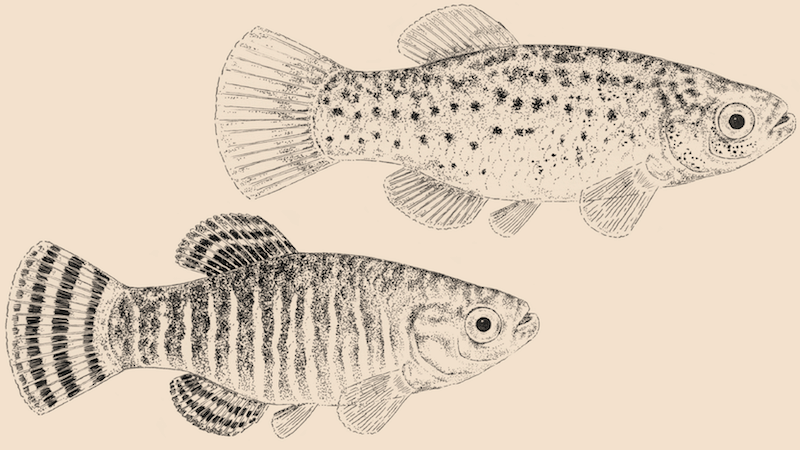 Learn more about the Spanish Toothcarp, the animal printed on GEPEC neckwarmer. 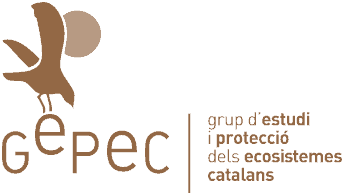 GEPEC was born because of the lack of any independent environmental group located in the Camp de Tarragona, a natural area where the environmental degradation was growing. It was established by colleagues and friends from Alt Camp, Baix Camp and Tarragonès. 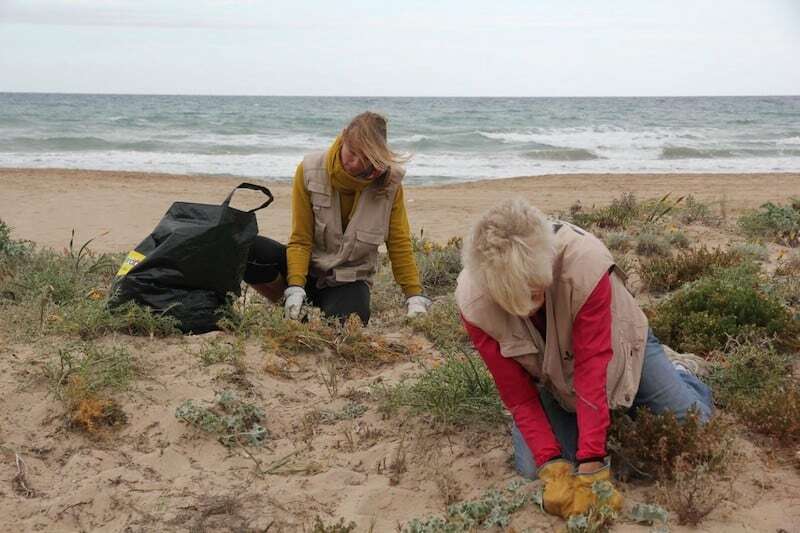 They met in Valls to create the association with the clear objective of fighting for conservation and study of nature in the Camp de Tarragona. Campaign against the Montsant wind farm (1999). Campaign against the BCN World (2012). Campaigns against extractive activities in Baix Camp. Campaign against a very high voltage line (MAT South) in Terres de l’Ebre and Camp de Tarragona (2013). 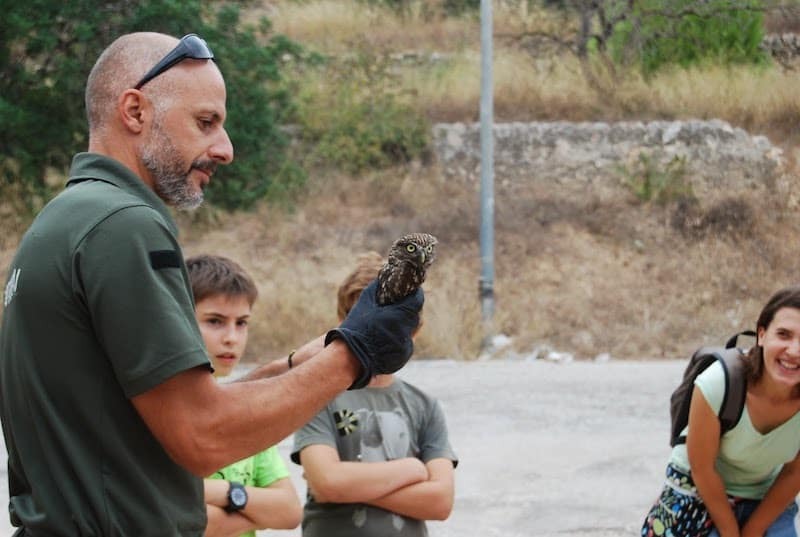 Campaign against a hunting method called “barraca” that consists in catching birds by using a sticky substance (2007). Complaints against uncontrolled dumping of wastewater. Submission of allegations to urban plans in various municipalities. Land and nature conservation through stewardship agreements. Struggle to achieve the creation of protected natural areas and environmental restoration projects: mouth of the Gaià River, dunes and marshes of Muntanyans (Torredembarra), and Pont d’Armentera riverside woodland. 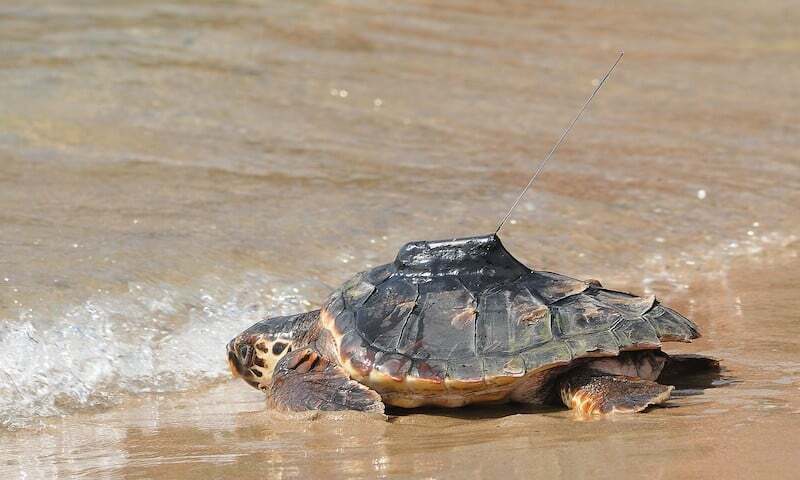 Awareness campaigns against environmentally damaging activities: illegal hunting, trade in protected species, and motorized access in natural environments. Campaign against the plundering of millenary olive trees in the Terres de l’Ebre. People’s awareness towards the convenience of green yards in schools, or, in other words, the importance of nature presence in the children immediate environment. Dangerous gas emissions in various industrial parks in the Camp de Tarragona. Invasive species and reduction of biodiversity everywhere, but mainly in the protected areas. Siurana River and Gaià River are kidnapped, in consequence, their basins suffer scarcity of water resources. Growing in number of members. Increasing the impact of our actions on the society. To expand the range and number of actions of our lines of work. Actively participating as a volunteer in the topics you like: environmental advocacy, workshops or any of the ongoing projects. Proposing activities or conservation projects, and share your knowledge. Becoming a member. We offer different fees, discounts on many activities, and free workshops and outings. Making donations in species. For example, materials or equipment. Signing stewardship agreements with land or real estate owners to help nature. Spreading the existence of GEPEC everywhere. Participating in the activities organized by the organization. Mainly membership fees, and subsidies in certain projects. Over the last more than 30 years many organizations and people have inspired the management of the GEPEC-EoC with the aim of defending the nature and people. We are sure that we will continue to find more amazing people. That our organization was not necessary. Stop thinking that the planet is ours and is at our service. Otherwise, our extinction and extinction of the beauty that surrounds us are guaranteed. Money has too much influence on the world. They are not only destroying our planet, but also us and our future. Work and excitement are often rewarded.